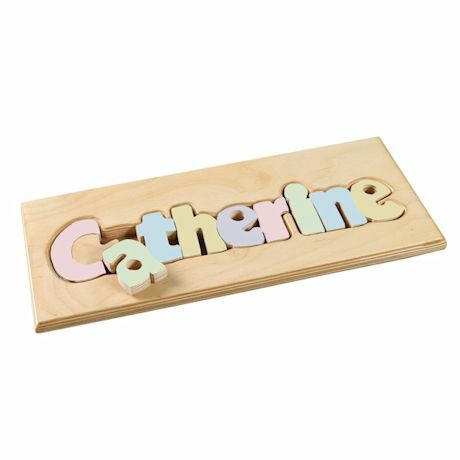 A child will love this personalized name wooden puzzle - causing them to exclaim, "That's my name!" 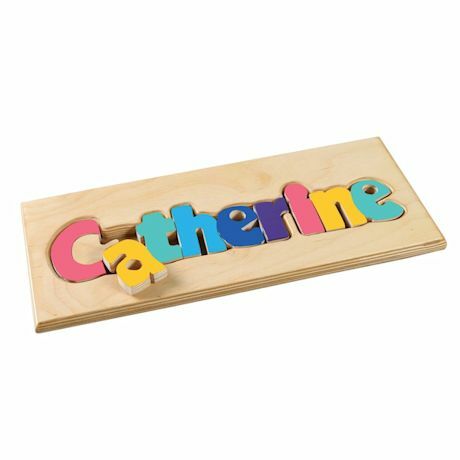 Handcrafted from top furniture-grade birch wood with a hand-rubbed oil finish, this puzzle features your child's name in individually crafted letters with fun color combinations. Each is hand-painted with safe, non-toxic paint and sealers, so you can be sure it is as safe as it is entertaining. 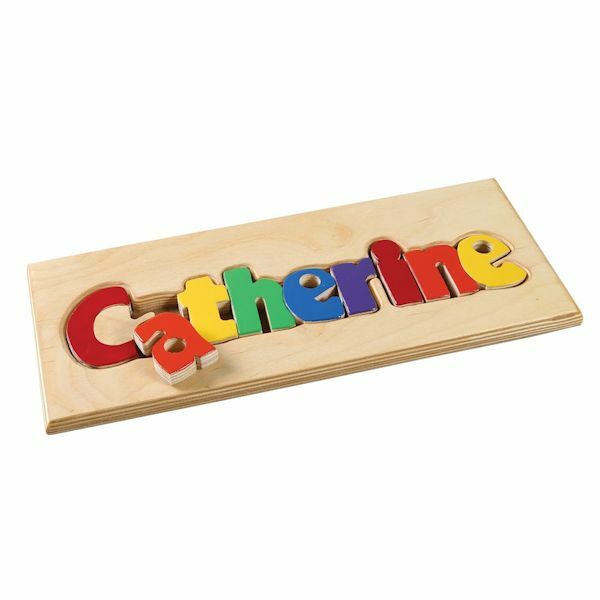 Name puzzles reinforce reading skills, memory, color and letter recognition and other important developmental milestones. Perfect gift for a baby's 1st birthday and beyond! Always use with adult supervision. Choose from 3 color combinations: Primary, Jewel, or Pastel. Only one name can be printed - specify 7-12 characters. Puzzle measures 6 ½" w x 15-16" l, depending on length of name. Made in the USA. Please allow 5-6 weeks for delivery. No rush delivery or gift box.